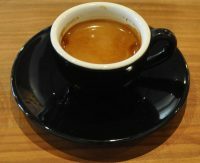 Updates for existing Coffee Spots. 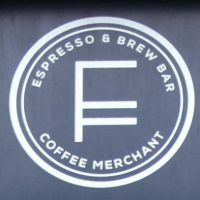 Surrey Hills had a legitimate claim to be first speciality coffee shop in my home town of Guildford when it opened on Chapel Street in 2016. That shop is no more, Surrey Hills moving in the summer of 2018 to a much larger space a few streets over on Jeffries Passage. 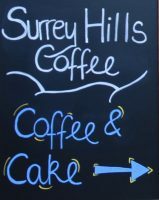 Since then, Surrey Hills has gone from strength to strength, including opening a second outlet in London Square. When Surrey Hills moved into Jeffries Passage, it initially only occupied the downstairs, although even this was far bigger than the Chapel Street original. However, there is a bonus upstairs area which close to doubles the available space and which has been open for some time now. I popped in at the start of April to check it out before leaving on my latest trip. I also caught up with the latest developments in Surrey Hills’ on-going desire to reduce waste. I first visited Lemana Café in Lymington in November 2013. Since then, it’s been a semi-regular feature of my annual trips to the area and I’ve watched it grow with interest. 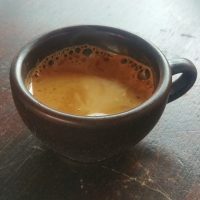 There was a rebrand in 2015, when it became Lemana Coffee & Kitchen, switching over to serve Has Bean coffee, but still retaining its roots as a lovely, friendly, family-run café with great food. 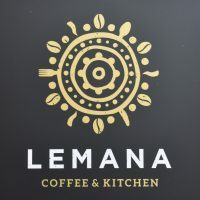 Over the years I’ve also kept touch with various family members on social media, so it was something of a surprise when, in May this year, I learnt that Lemana had changed hands. On my first visit to Tokyo back in 2017, the final part of my stay was spent in a lovely, quiet residential area just south of Shinagawa Station, where I made the chance discovery of Kaido Books & Coffee, which was a couple of minutes’ walk down the street from my hotel of my trip. 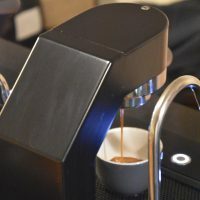 Much as Nem Coffee & Espresso became my “local” for the first part of my stay (and filled the same role during the second half of my return to Tokyo in 2018), so Kaido became my “local” for the final week of my stay. Kaido Books & Coffee does what it says on the tin: a book shop combined with a coffee shop, spread over two delightful floors, with more of a coffee shop feel downstairs and a bookshop/library vibe upstairs. I liked Kaido so much that I immediately wrote it up, posting my original piece while I was still in Tokyo. However, due to various technical reasons, I never managed to create a gallery to go with the original post, so on my return to Tokyo last week, I popped down to Shinagawa to pay Kaido a visit and to finally complete the gallery. Laynes Espresso, on New Station Street, has long been my go-to spot in Leeds, ever since my first visit in the summer of 2014, particularly if I was arriving/leaving by train at Leeds Station, which is literally around the corner. 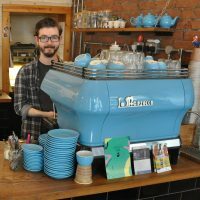 This is the original Laynes Espresso, one of the pioneers of speciality coffee in Leeds. It used to be a small, cosy spot, a few seats fighting the counter for space upstairs, while an equally cosy basement provided overspill seating or a refuge in the winter. However, towards the end of 2016, Laynes had the opportunity to take over the adjacent space to the right of the original shop. Laynes knocked through both upstairs and down, creating a new coffee shop which is almost unrecognisable from the old one. 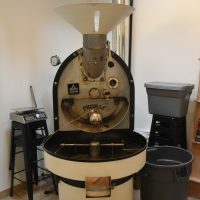 Gone is the small, cosy spot, replaced by something three times the size, the upstairs transformed into a bright, spacious coffee shop and kitchen, while in the basement, the transformation has been equally striking. 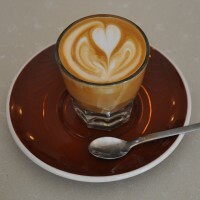 The coffee is still from Square Mile, with Red Brick on espresso and a single-origin pour-over. However, with the extra space comes an expanded menu and an increased focus on food, including an awesome all-day breakfast/brunch menu.